WARSAW — A Warsaw man was arrested after battering a female in the presence of a child. Charles Cornelius Cotton, 31, is being charged with criminal confinement, a level 6 felony; domestic battery with a child under 16 present, a level 6 felony; domestic battery, a class A misdemeanor; strangulation, a level 6 felony; interference with the reporting of a crime, a class A misdemeanor; and criminal mischief, a class B misdemeanor. On March 22, an officer with the Warsaw Police Department responded to a domestic battery at a residence. The officer spoke with a female subject sitting outside of the residence. According to the affidavit of probable cause, the female said she went to Cotton’s residence to bring a child to stay there for the day. She advised that she and Cotton got into an argument about domestic battery court proceedings because Cotton wanted the female to testify in his favor and she refused. The female also said Cotton became angry and refused to let her leave the residence by blocking the exit. As she retrieved her cellphone to call 911, Cotton took her phone to prevent her from contacting the police. The female then began screaming for help and Cotton grabbed her hair, pulled her head back and placed his hand over her nose and mouth, preventing her from being able to breathe. While the female was holding the child in her arms, Cotton pushed her and she fell into a bedroom. After letting her exit the residence, Cotton followed her outside and used a milk crate to break the driver’s side rearview mirror off her vehicle. He then threw the female’s cellphone across the yard, breaking the screen. Cotton admitted he was to keep the child for the day and that he prevented the female from exiting the residence and damaged her car and cellphone. A male subject at the scene said he heard Cotton and the female yelling. He witnessed the female fall through the bedroom door backwards, with the child in her arms. Cotton has already been arrested and released on his own recognizance. 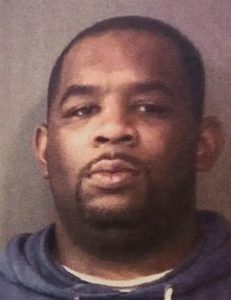 He has an initial hearing scheduled for 1 p.m. May 9, in Kosciusko County Superior Court III.